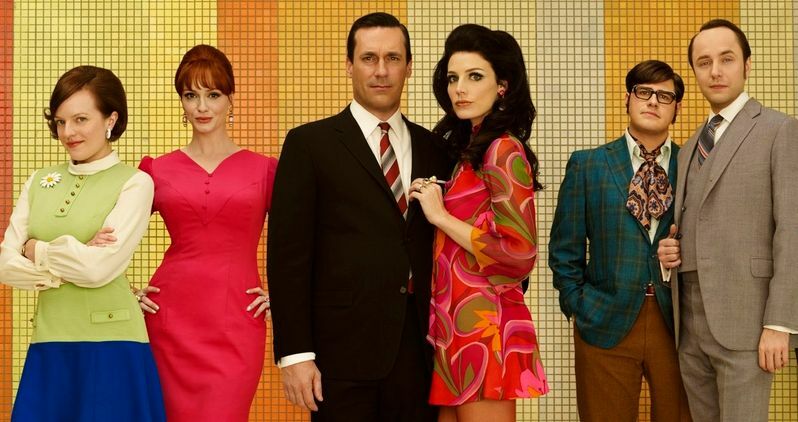 "Mad Men is the show that put AMC on the map. Period. It is impossible to overstate the impact it has had on AMC, and I would argue, this era of television,. We are honored to forever be the birthplace and home of this iconic series and we can't wait to share its artful conclusion with the fans. From the first shot, Matthew, his cast and crew handcrafted something truly distinctive for the screen, the very definition of premium television on basic cable. We will miss the remarkable people, the consistently exquisite program, and of course, the free scotch and cigarettes in our vending machines." "Mad Men surpasses our highest expectations year after year and these final episodes are no exception as the fates of its characters are ultimately revealed. Thanks to the genius of Matthew and all the extraordinary artists on both sides of the camera, the series has raised the standard by which all dramatic television is judged. It's had a profound impact on popular culture, as well as the evolution of Lionsgate's television business, and is an incredible gift to all of us." Golden Globe Award winner for Best Actor - Television Series Drama, Jon Hamm leads an unforgettable ensemble cast, including January Jones, Vincent Kartheiser, Elisabeth Moss, Christina Hendricks, John Slattery, Aaron Staton, Rich Sommer, Christopher Stanley, Jessica Paré, Jay R. Ferguson, Kevin Rahm, Kiernan Shipka and Mason Vale Cotton. Mad Men has earned seven Emmy® Award nominations for Outstanding Drama Series, leading to four wins; three Golden Globe® Awards for Best Television Drama Series; a Peabody Award; three Producers Guild Awards; four Writers Guild Awards; two BAFTA Awards; five Television Critics Association Awards, including Program of the Year; and for seven consecutive years has been named one of AFI's Top 10 Outstanding Television Programs.